KYD is a platform where customers can hire qualified developers. The key advantage will be the developer’s rating and his verified data, which will allow the employer to clearly understand what business problems he can solve with the help of this particular developer. The project started 4 months ago. And during this time has already managed to gain the trust of many people who have invested their money in it. All this does not bring money at all, but only spends time. However, this is exactly the foundation on which you can then develop and sell their services very actively. This is what developers and managers are doing now. Developer verification services are already being actively sold. 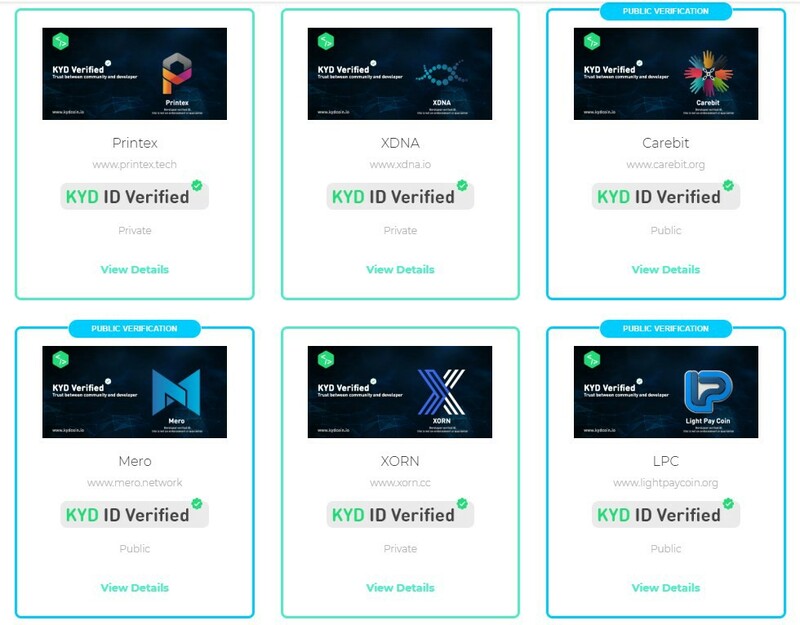 Already 50 teams have verified their developers through KYD. Know Your Developer (KYD) - Trust between community and developer! But KYD is remarkable not only because it confirms the identity of the developers, but also the ability of investors to help find those who steal their money. 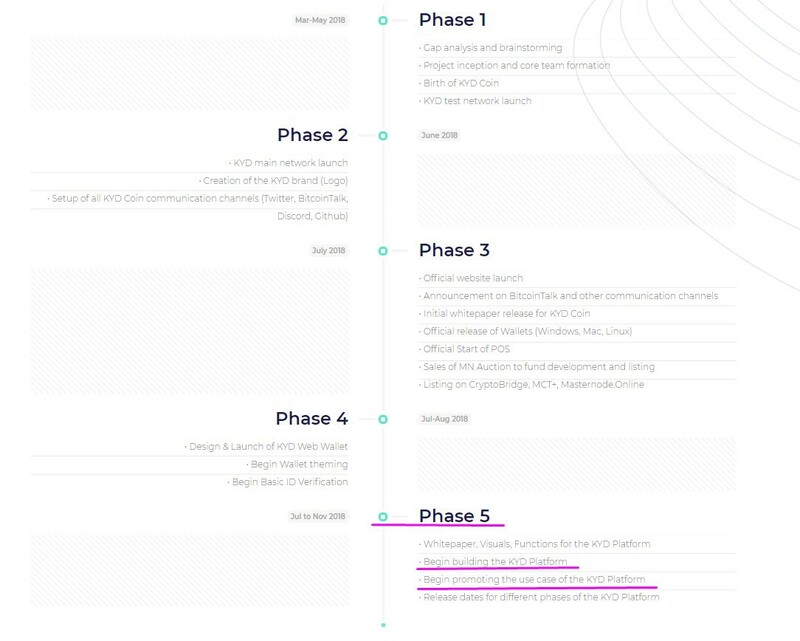 For example, the guys from the MetaHash project decided to cheat and steal investors’ money. What was quickly notified by the KYD team. They did not go to contact with KYD and eventually received delisting. KYD team wants to reduce a huge amount of scam in masternodes and increase transparency. This is a very huge and important step. Because it will be much worse for many to cheat someone if people know your real data and in the case of fraud can give them to the police. Separately, it should be said about the price of KYD. Because its graphics are amazing due to the fact that no one wants to sell KYD. And there is a demand for it both from investors and from companies that want to pass verification. That it constantly pushes it upwards by jumps. The economy of the project looks great! Over the past few weeks, the team has been actively working to ensure that as many investors as possible could take part in the masters. To do this, they enter into partnership agreements. This also affects the price, because many are not willing to immediately spend $ 2,000 on full masternod, but are only willing to invest 300–500 dollars. With the increase in masternodes and will reduce the frequency of payments.